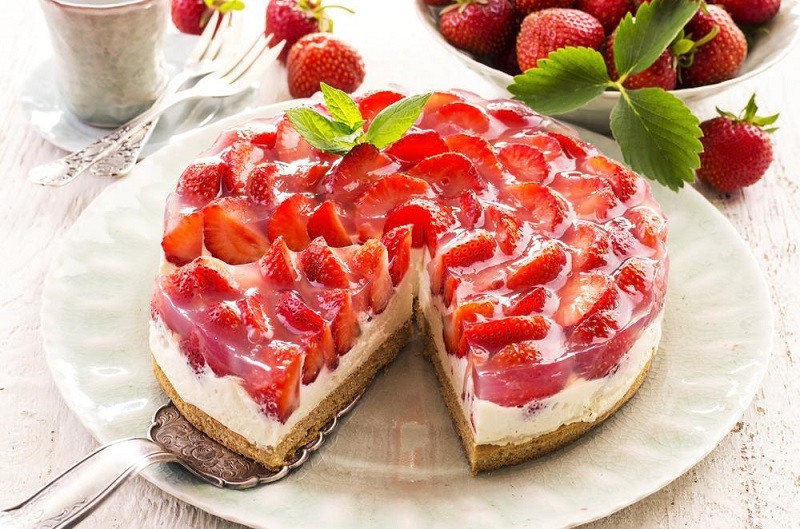 Strawberry is a yummy and juicy fruit loved by all to make strawberry cake, strawberry smoothie or the strawberry pie with cream cheese. 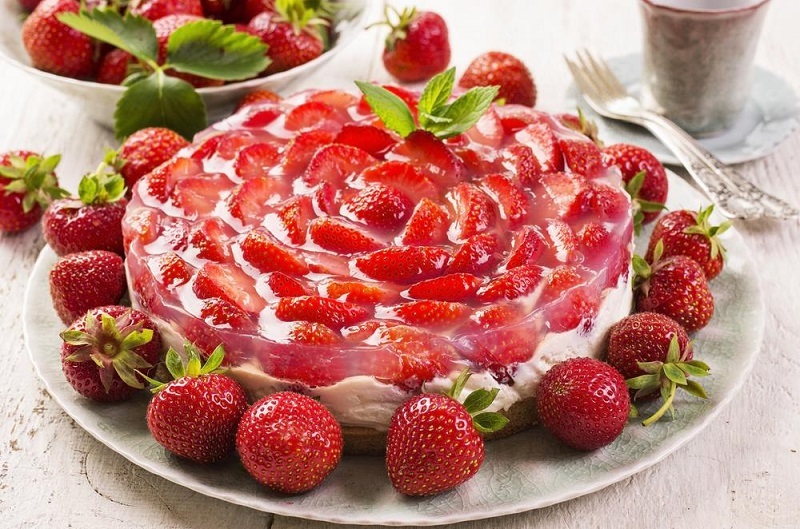 The topping of freshly cut strawberry with thick cream on the top is great combination of the two which is loved by everyone. This recipe is very easy to make and if you have some interest in baking, then half of the work is done for you. It is be a smart option for your kid’s parties because its garnishing says it all. Above all it is a great recipe for all. And you can also decorate it with wafers or crushed chocolate based upon the taste of your kids. 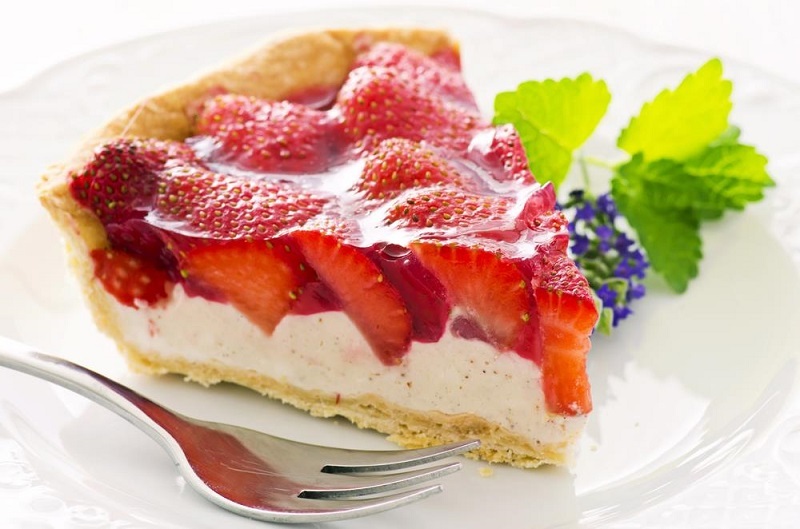 Below is the easy to make recipe of strawberry pie with fresh cream cheese. Preparation time: Approximately 20 minutes, 30 minutes is chilling time that includes the cooling time as well. Take a pie plate of 9 inches and gradually roll out the pastry into it. Simply trim the pastry from the edges of the plate about ½ inches. Now put it into the oven and bake at 350°. Keep it for 12-15 minutes and then it will get a light brown color afterwards. In the next step you have to simple beat the egg substitute, cream cheese, vanilla and honey in a bowl till it gets a smooth texture. Now pour the mixture on the top of the crust and again bake for 15-17 minutes till the mixture is set with the crust. On a rack of wire put it to get cooled down. Now is the time for the filling. For that take a saucepan and make a spoon mixture of cornstarch and water. Continuously stir it and preserves. After a boil cook for another two minutes to make it thick. Now over the filling arrange the strawberries in the way you want. With a spoon pour the thick strawberry sauce on the strawberries. For about 2 hours refrigerate the strawberry pie before you cut it. In the end garnish it’s topping with whipped cream and some strawberries before you serve it. ← Is it safe to drink green tea during pregnancy?